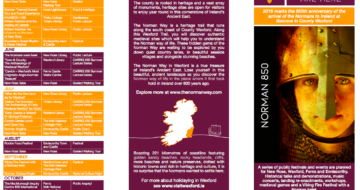 This May 850 years ago the Norman’s first arrived to Ireland on the shores of Bannow in County Wexford. 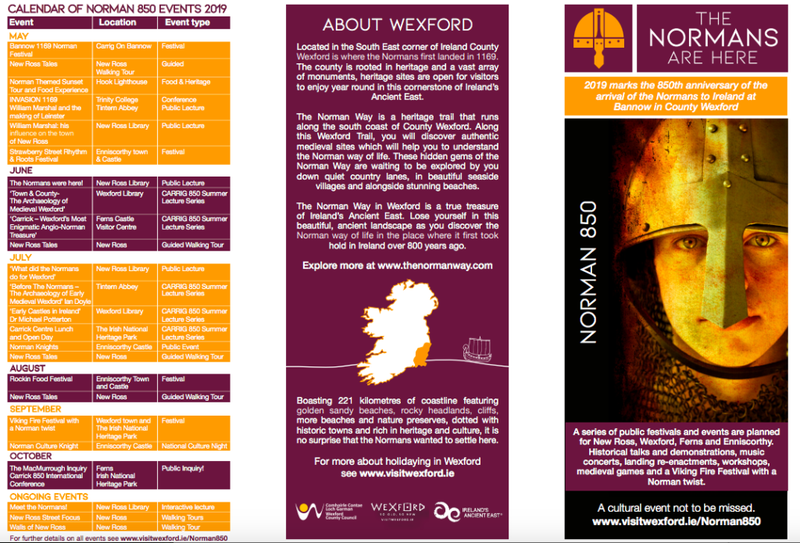 Wexford launch ‘The Normans Are Here’ a year long programme of festivals and events to honour the occasions. 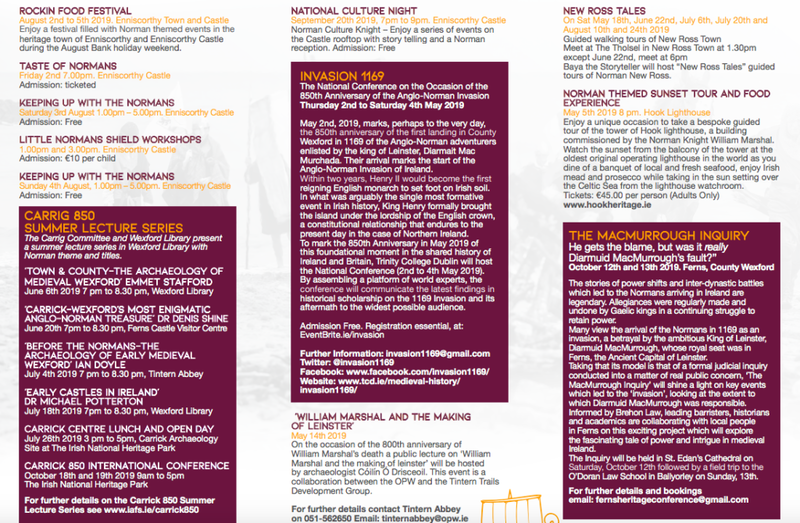 Wexford announces Programme of Events for the 850th Anniversary of the Arrival of the Normans to Ireland – see brochure below. 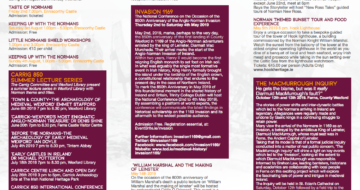 The programme of events was officially announced with a flavour of what is to come as a hoard of Norman Knights made their way ashore just as they would have done some 850 years ago and this May Bank holiday weekend the anniversary will be commemorated at the Bannow 1169 Norman Festival taking place in the village on May 4th and 5th. 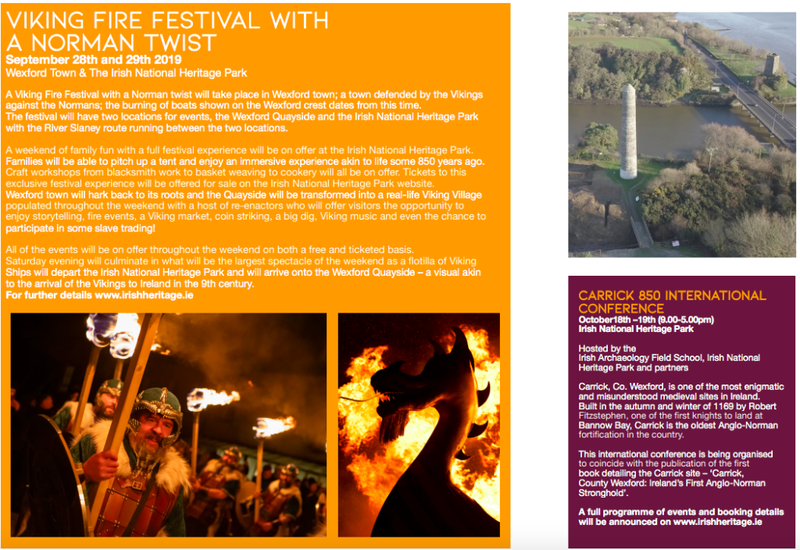 The events will include historical talks and demonstrations, music concerts, landing re-enactments, workshops, medieval games and a very exciting Viking Fire Festival with a Norman twist. 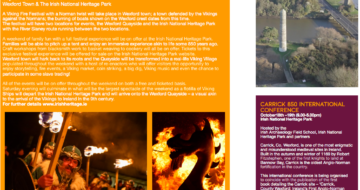 There is set to be something for all ages and tastes on offer in Wexford.